What is the CLEAR Collaboration? Dr Andermann and the CLEAR Collaboration are helping to build the evidence base on what health workers can do to take action on social determinants in clinical practice. Frontline health workers learn to take action on social determinants at the World Conference on Family Medicine (WONCA) in Rio, November 2016. The CLEAR toolkit, a clinical decision aid to help health workers address the social causes of poor health, can be downloaded free-of-charge in over 10 languages. Dr Andermann invited to speak at the Pegasus conference 2016 to engage in discourse about actions and policies to improve unacceptable levels of poor health. There is growing evidence that people who are poor and less educated have more health problems and die earlier than those who are richer and more educated. These health disparities are caused by multiple factors such as low income, lack of social support, adverse childhood experiences, limited education, unstable employment, substandard housing, gender discrimination, exposure to violence, social isolation, and so forth – factors otherwise known as the “social determinants of health.” To make a real impact on improving health and reducing disparities it is therefore necessary to address the underlying social causes of poor health. Yet, many frontline health workers feel helpless and frustrated by the social and economic challenges that their patients encounter in their daily lives, and are unsure what they can do to help address these complex and intertwined issues. 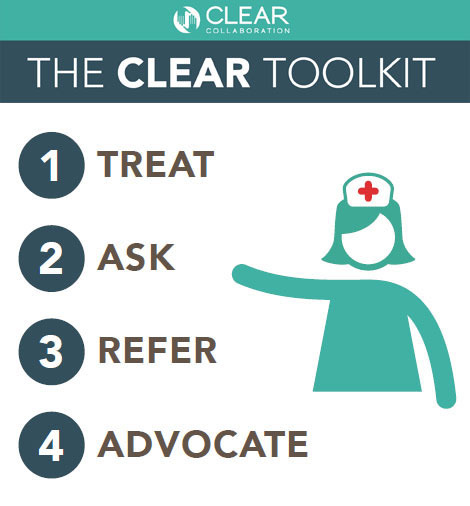 The CLEAR toolkit is a clinical decision aid to help physicians, nurses and other allied health workers take action on the social determinants of health in clinical practice. The toolkit is available in over 10 languages and can be downloaded free-of-charge from this website. There is also an accompanying trainer’s manual for governments, NGOs, academics or anyone responsible for training frontline health workers, to assist them in adapting the toolkit to the local context, measuring the impact on patient outcomes and scaling-up the use of a social determinants approach in clinical practice. The toolkit is currently undergoing piloting and testing in a wide range of low and middle income country contexts (e.g. Uganda, Egypt, Saudi Arabia), as well as with specific populations in high income country settings (e.g. inner city neighborhoods in Canada with a high proportion of recent immigrants and refugees, Aboriginal communities in Northern Canada, etc.). If you are interested in piloting the toolkit in your local context, you are welcome to contact us for support and advice.